At the age of 14, Heidi is sent to a special school for young athletes (KJS). It is there that she begins her career as a professional athlete in the East German sports system. She progresses quickly and then joins the SC Dynamo Berlin sports club, which trains at the Sportforum in Berlin. Heidi is under close observation and is expected to bring home medals for the East German state. Heidi’s coach gives her “blue pills” in addition to the vitamins she takes regularly – her first doping substances. She doesn’t know what they’re called; the pills are not in their original package. Heidi’s coach says they will help her perform well. Heidi Krieger wins gold in women’s shot put at the European Athletics Championships in Stuttgart. She put her winning shot 21.10 meters. The Berlin Wall falls, the Cold War comes to an end, and Heidi is still a high-performance athlete. However, two years later, at the age of 26, she ends her career because the doping substances have taken a toll on her body. Heidi experiences a turning point in her life. A friend and co-worker explains the inner turmoil that she’s been facing. He gives it a name: transsexuality. Heidi Krieger is now Andreas Krieger – a process that has taken three years. The decision to live as a man saves his life. 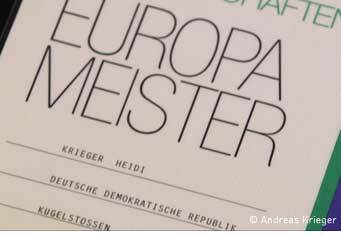 In 2000, those responsible for systematic doping in communist East Germany are put on trial. Andreas attends the trial and realizes for the first time that he had been inadvertently subjected to doping for many years. In shot put, the athlete thrusts a metal ball, known as a shot, as far as possible with a pushing motion of the arm. The sport was practiced in the antiquity using stones, which were replaced with cannon balls in the Middle Ages. In 1860, the dimensions and weight of the shot were regulated. The first official women’s world record measured 10.15 meters and was thrown in 1924. 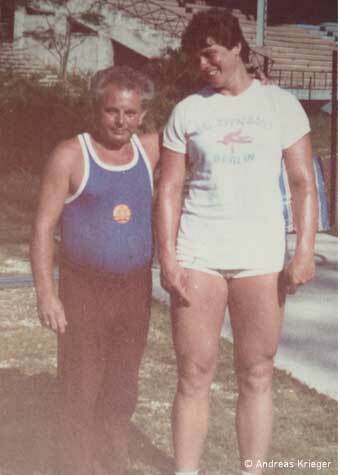 It wasn’t until 1977 that a female shot putter surpassed the 22-meter mark. 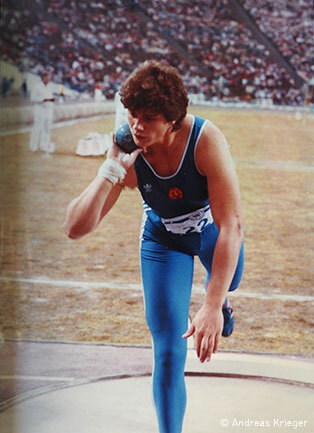 A decade later, in 1987, Natalya Lisovskaya set the world record in Moscow with a 22.63-meter throw. Since then, no woman has ever put a shot further than that; 23 meters remains an unreached goal. The atmosphere in Stuttgart’s Neckar Stadium during the 1986 European Athletics Championships was enthusiastic. Even the athletes that didn’t win medals were cheered by the fans. though both countries earned the same number of gold medals. From 1972 to 1988, the Soviet Union and East Germany dominated the medal count at the Olympic Games. In East Germany, athletes were divided into three different categories (I-III) according to skill and put through a systemically structured training regime that was closely monitored from a very young age. Young athletes in group I attended special training centers and their skills were tested each year. If they performed well enough, they were sent to schools for young elite athletes (KJS). Those who were successful went on to the highly professional and specialized sports clubs, which were at the pinnacle of the East Germany sports pyramid. Only the very best and most talented athletes in East Germany were sent to elite sports clubs like SC Dynamo Berlin. In East Germany, international athletic success was an official state goal and was intended to demonstrate the superiority of socialism as a political system. 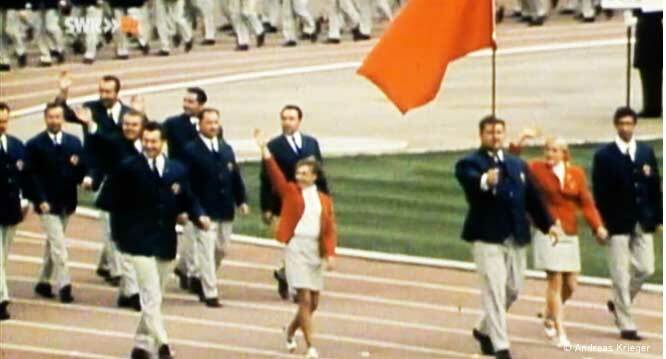 It was in this context that the governing socialist party, the SED, implemented the State Plan 14.25.
from the SED to the National Olympic Committee, to the sports doctors and scientific researchers, all the way down to the coaches. As a result, underage athletes were given doping substances, most often in the form of pills. I weighed 105 kilos. Active muscle mass. At age 26, he was still clear of doping. Despite the fact that Alwin Wagner is regarded as a major discus talent and meets international championship standards, he is not nominated for any championship by the German Athletics Association (DLV). He is alleged to have no chance of making the finals. be a regular in the media. Alwin takes the pills, given to him without label or instructions, and as promised, quickly sees improvements in his performance. Before long, Wagner pockets money at competitions, and with additional income from other sources, he makes almost five times as much as a police lieutenant. Nothing is said of the side effects and risks. To keep up with the world’s best discus throwers, Alwin continues to take the pills and even agrees to injections, unaware of what they are. expose the methods used by the DLV, he is met with no response. 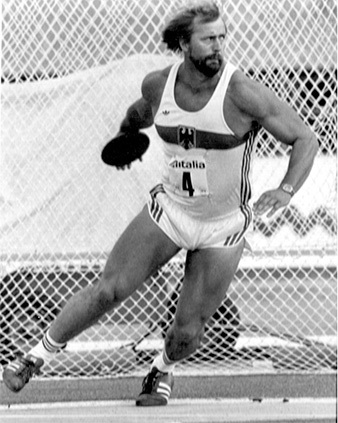 In 1981 Alwin Wagner wins his first national discus championship and goes to the press. Again, neither the state nor the public respond. As a child and teen, Thomas Götze is interested in swimming, football and chess. In the end, however, he takes up athletics and is promoted by the East German sports system. 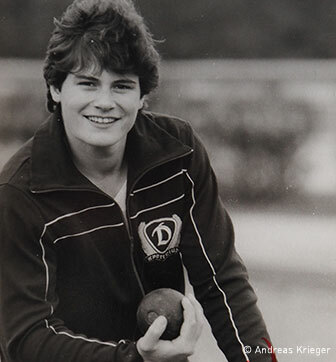 From 1976 through 1978 Götze trains in the throwing disciplines at an elite school for young athletes (KJS) in Dresden. While there, he is unwittingly given so-called ‘supporting substances’ by his coach, guised as vitamins. His performance improves rapidly, in hammer throwing by as much as 15 meters a year. Thomas matures into what looks like a promising career. Then he suffers a protracted shoulder injury that has him callously dropped from the team. Today Götze battles serious health issues as a result of the state’s criminal doping scheme. As Andreas Krieger and other former high-performance athletes, he now campaigns against doping in sports. Ute Winter is born a year after the Berlin Wall is built. She learns to swim at the age of 5, and in 1973 is enrolled in a special school for young athletes (KJS) in Magdeburg. A long-cherished dream turns into reality. Every day from seven a.m. she swims endless laps. Then – when Ute Winter is eleven – there are cups with “vitamin” pills by the pool. “I could feel the coaches watching us when we took them.” There is constant pressure to improve. As she steadily gets better, she starts seeing results. At age 14, she makes it onto the Second Division team, where there are only 4 girls in her training group. In 1977 she wins a place on the Olympic team. As well as the usual substances, she is now also given new blue pills. Anabolic steroids are added to the mix to give the extra kick to an already harsh training regime. She quickly develops remarkable muscles, her shoulders, arms and neck become massive. Ute no longer recognizes her own body. She begins to starve herself, yet instead of losing weight, she gains more. The ruthless and sheer endless training sessions become unbearable for Ute Krause. At the age of 16, she finally quits. The Olympic Games no longer hold any lure for her. “Everything inside me was silenced”. Ute falls into a deep hole, her training is replaced by bulimia, she battles crippling depression. Eventually she receives treatment at a psychiatric clinic. It takes her 20 years to understand and define her illness and to learn how to live with it. Heike Knechtel, born 1963, is 13 years old when she gains entry at the elite sports school for young athletes (KJS) at the German College for Physical Culture and Sport (SC DHfK) in Leipzig. She starts as a middle distance runner in the athletics program, only to be sent home again two short years later. Knechtel initially believes that due to her short stint there she was not subjected to substance abuse. Over the next years, Heike completes her Master’s in Education and Social Behavioral Sciences. It is a rocky path though. Heike Knechtel has to undergo several operations. In 2003 she is diagnosed with breast cancer. It is only when her contract as Head of the Social Support Center is put on hold in August 2014, due to “fully reduced earning capacity”, that Heike realizes she has in fact become a victim of the state’s organized doping program. Knechtel remembers being given anabolic steroids by her coach between the ages of 13 and 15. They also had to keep records of taking what they were told were vitamin pills. 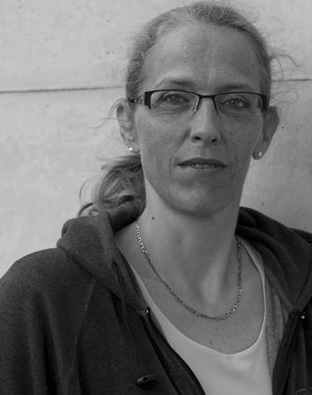 Heike’s serious conditions are attested in a medical certificate—she is officially recognized as a doping victim. 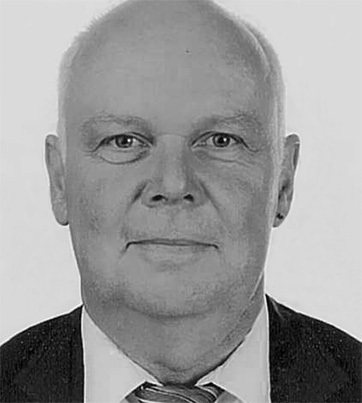 Today Knechtel is a member and doping prevention officer of the Berlin-based Help for Victims of Doping (DOH) charity. 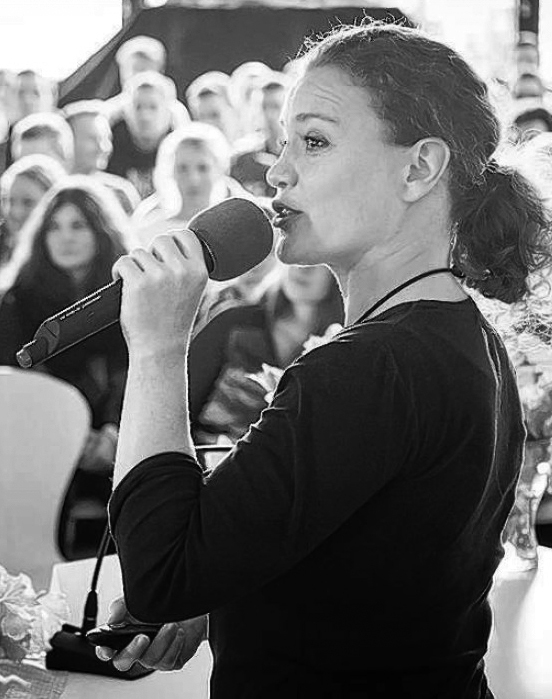 Dagmar Kersten, born 1970. She is only 9 years when her gymnastic talent is spotted and she is delegated to a state-run elite sports boarding school (KJS) in Berlin. She progresses quickly developing her natural gifts and is barely 15 when she first competes at the European and World Championships. After years of putting her body under extremely intense stress, and exacerbated by performance-enhancing drugs known by the euphemism ‘supporting substances’, she suffers serious spinal injury. Dagmar is forced to sit a year out or risk paralysis. Not long into her comeback she suffers yet another serious injury that ends any hope of competing at the 1987 World Championships. Before the 1988 Olympics Dagmar is administered performance-enhancing drugs by her team coaches and physicians. In 1988 Dagmar ends her sporting career after getting into arguments with coaches and officials. a statement on doping abuse that Dagmar delves deeper into the matter and realizes that she was systematically doped throughout her active career. Today, Dagmar runs a martial arts and artistic dance studio, works with children, and campaigns against doping and violence in sports. 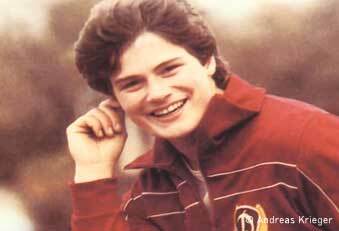 Andreas Krieger is born in 1965 as Heidi Krieger. At the age of 14, Heidi begins her career as a professional athlete. Less than two years later, her coach gives her pills in addition to the vitamins she takes regularly, claiming they will help her perform well. Heidi trusts him. Heidi becomes stronger and her performance improves steadily. 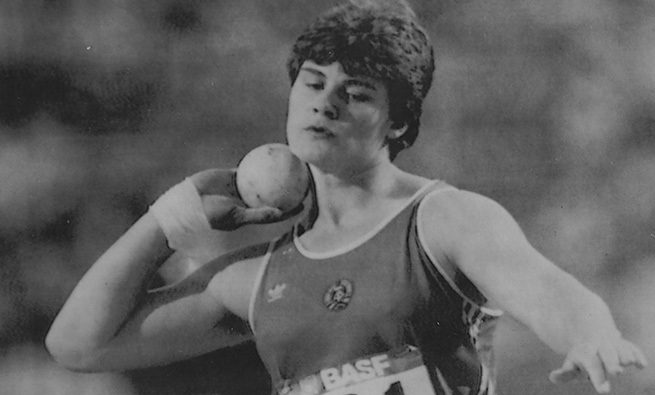 In 1986 Heidi wins gold in women’s shot put at the European Athletics Championships in Stuttgart. She put her winning shot at 21.10 meters. the doping substances have taken a toll on her body. In 1997 Heidi Krieger finally becomes Andreas Krieger. The decision to live as a man saves his life. How do you evaluate athletes at major sports events? How level is the international playing field for professional athletes? MAKING PROGRESS IN TRAINING WAS NOT SOMETHING TO BE CELEBRATED. the contact person you select. To optimize NADA’s website, NADA is using the analysis tool Piwik ( http://piwik.org/). This is done by statistical analysis of the user’s IP address. Data is analysed as far as possible in an anonymous form or a pseudonym. A personal evaluation does not take place. Data is not transfered to third parties in other countries. You can always contradict the analysis of your data with Piwik. In this case, data will be erased as far as technical possibilities do allow.